You are probably thinking…”What the heck?? Where does that title come from?” My hubby always loves it when I say something obscure and will give me one of those looks that means he’s about to commit me to the looney bin. But after 30 years of marriage he can actually sometimes follow my thought processes, which I find pretty remarkable :). More often though, rather than getting that look, I will just backtrack and explain how I got there…saves time! Hahahaha. So Goldilocks…she was in a story with 3 bears….she was tired and needed a nap…she tried out 3 different beds….one was too soft, one was too hard, and one was just right. I can feel you ALL giving me that look through your devices right now…..Okay, here is the explanation: I was going to title this blog post: A finished project, a “in the middle of a” project, and a new project. That just reminded me of those 3 beds of those bears and then I thought, maybe I’m Goldilocks…get it?? Anyway….let’s get to those projects, shall we?! My finished project ( yay!) is this sweet quilt (that Facebook was kind enough to remind me recently) that I started about 5 years ago. It is made up out of 9 BIG Churn Dash blocks and I got the pattern out of this book by Camille Roskelley : The blocks were super simple to put together because a) they are BIG, and b) Churn Dash blocks are easy. (That being said, don’t look too closely at my matching points because you won’t find any. But as you already know, I don’t quilt for the matching points, I quilt for the pleasure and matching points does NOT give me pleasure). I simply love, love, love the colors in this ( mostly Fig Tree fabrics), and that gingham binding ( in red!) is the cherry on top! Isn’t it the sweetest? Is one allowed to adore their own quilts? Well, I do, so never mind. I used Lori’s templates for all the shapes, and then traced letters to make my words. Now I want to add some pieced blocks at the top and bottom to make it a little bigger and a little more interesting. I just love this book because it is filled with all different types of blocks, in all different sizes, so I am usually able to find just what I need to add to a quilt I’m making. If you would like to join in the fun, get your supplies ready! You will need the pattern, available here:, and also the Farm Girl Vintage book, available through this link. Now, please let me know which part you would like to start with first…the girl, the blocks, or the words?? Alright, that about wraps up all my quilty news. House renos continue and I have a beautiful new front door that I decided to paint a sunny yellow, and I started taking down the marijuana inspired wallpaper in our bedroom, only to discover that there was circus tent wallpaper hiding underneath! There is NO end to the wallpaper in this house. Anyone want to have a wallpaper removal party at my house?? …..yeah, didn’t think I’d have any takers…..smart, very smart. < Previous What da ya think? All 3 quilts are just too cute but I really love the Farm Girl. 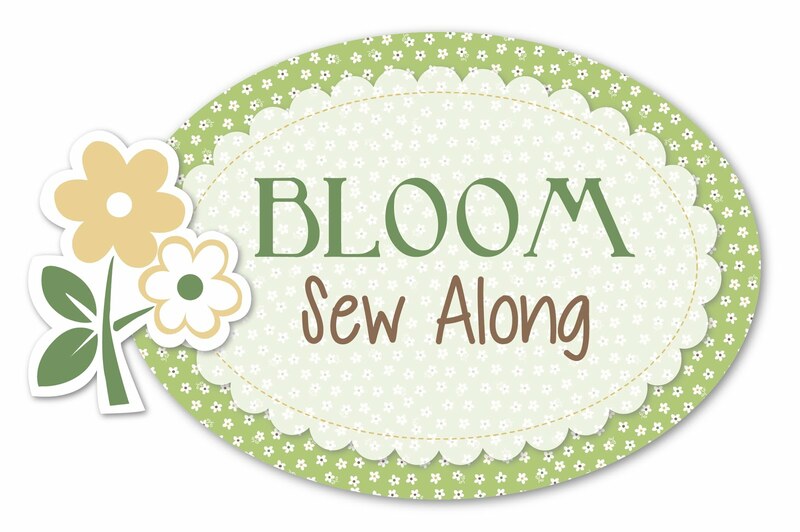 Will you be sewing along Joyce? Taking down wall paper isn’t hard…just gives your arm a work out. Remember to use really warm water in that spray bottle….grab a corner of the paper and pull. Recently took down hallway, kitchen and bathroom paper at our house in Davenport, Iowa. Some of our wallpaper came off that way, but most comes off in teeny, tiny pieces and takes FOREVER! Love the Farmgirl. But have never been one either. As to wallpaper. ugh! My kitchen in our then 100 plus year old house was a disaster to remove. I think I pulled about 6 layers off the walls. I couldn’t give up because I’d already taken the cabinets off the wall so hubby could redo the kitchen. The whole redo took the spring, summer and early fall to get it done. He built and hung all new cabinets, I sanded and painted two coats of paint. Still love that kitchen and wish I had it in what we live in now. Oh, I put new wallpaper up, and repainted the wainscoting. I’m to old and don’t have that kind of energy anymore. Please get your rest so you can quilt more!! Wow Lonna, sounds like you put so much work into that kitchen, but I bet it looked gorgeous when you were all done! I love your projects Monique. I love the Farmgirl one but I have so many projects waiting for me that I really can’t take on anymore!-maybe in the future I will get to it. I love your finished one-especially love the gingham border. I’ve always loved gingham-it always seems so fresh and happy. So good to hear that non matching points doesn’t put you off quilting-some of my quilts also don’t match at the point either but I still enjoy them. I hope the wallpaper removal goes well-it seems like other’s comments shows that you are not alone in having to remove wallpaper. I think I adore gingham and polkadots, and they are especially irresistible when RED :). 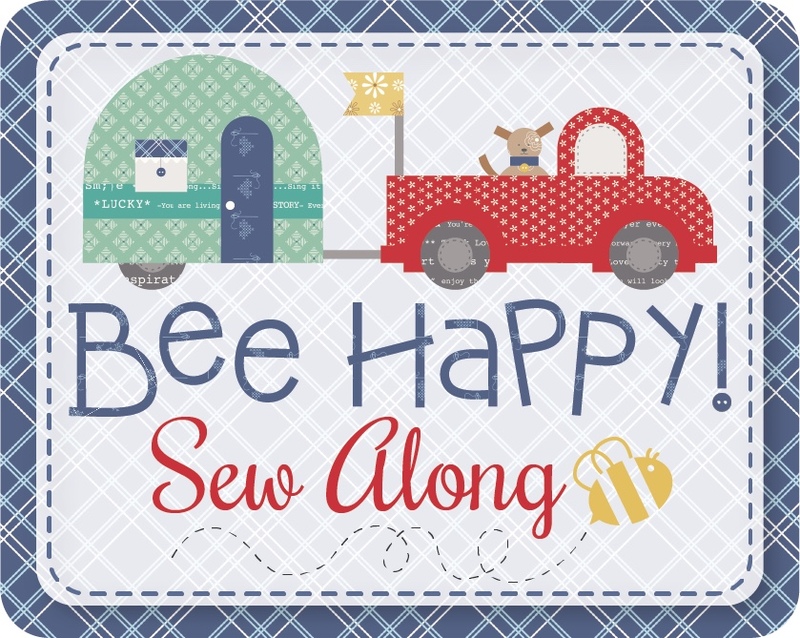 Totally understand about the sew along…so many projects, so little time! I’m also a Huge Fan of Lori Holt. I’m SEW excited to have this Quilt hanging in My Kitchen…. Your quilts say so much about you. Fun and whimsical.